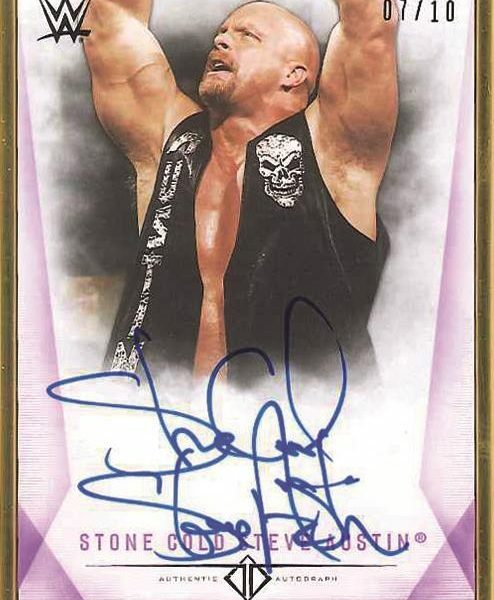 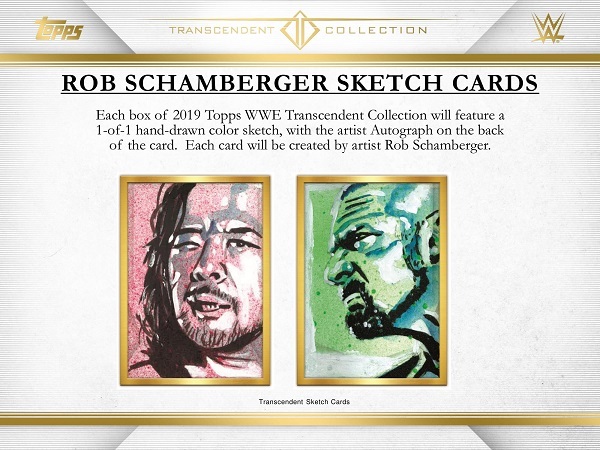 This is Topps Transcendent WWE Edition! 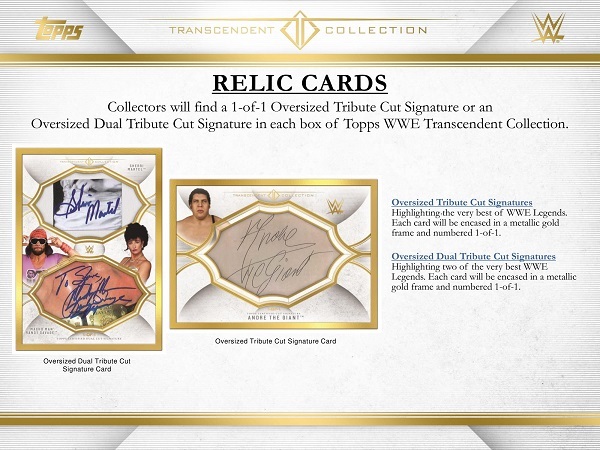 Limited to Only 50 Total Cases Produced! 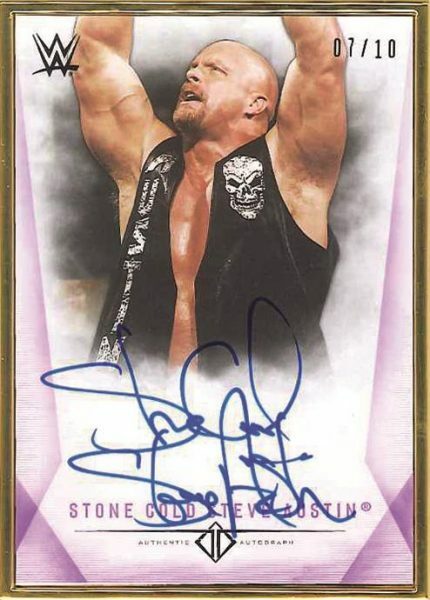 Featuring over 50 on-card autographs, at least three one-of-one cards, one autographed replica WWE Championship belt, and an exclusive VIP invite to a WrestleMania 35 party. 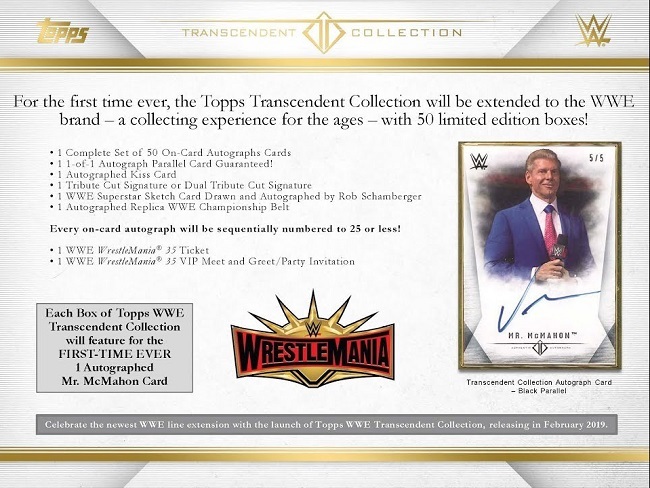 For the First Time Ever you will find Autograph cards Featuring Vince McMahon! 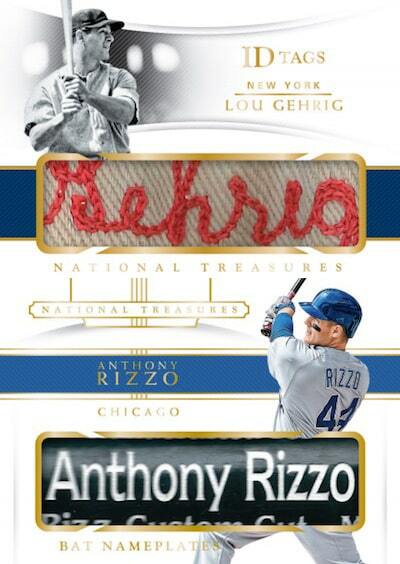 Here is the per box breakdown… Each spot in the break is guaranteed an item from the list below.